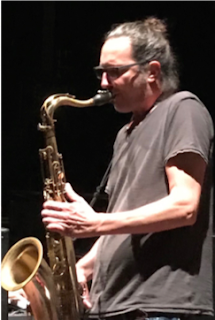 45-year-old Lucerne-based saxophone and bass clarinet player Christopher Erb is an excellent musician. However, except for a short review of Sceneries and his collaboration with Frantz Loriot, we somehow haven’t had him on the screen so far. Erb is not only a prolific member of the busy Swiss scene, but in 2007 he also formed his own label, Veto Records. A formative moment in his musical life came in 2011 when he moved to Chicago for a four-month-long residency. Of course, the time he spent there wasn’t enough to explore all that the city has to offer, but he used it to create a network with many of Chicago’s improvisers and figure out who was most compatible with his egalitarian approach to total improvisation. During his stay he played with Fred Lonberg-Holm, Michael Zerang, Jason Adasciewicz, Tomeka Reid, Jim Baker, Frank Rosaly, and many others. 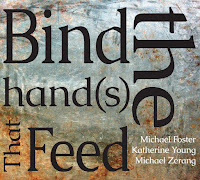 These connections yielded releases like the Erb/Baker/Zerang trio’s self-titled album (2011), Erb/Lonberg-Holm/Roebke/Rosaly’s Sack (2011) and The Urge Trio’s Live at the Hungry Brain (2017) - all published on Veto. In 2012 Erb received the Culture Award from the City of Lucerne. 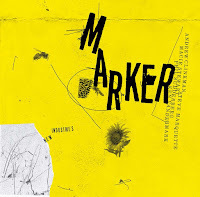 Apart from his releases on Veto Records there are recordings on Hatology and Creative Sources. We will have a look at three of his latest albums. 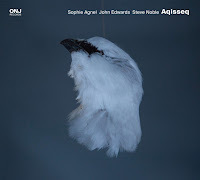 Christoph Erb’s most recent album is a duo with American drummer Michael Vatcher, Erb is on tenor and soprano only, and he renounces playing the bass clarinet here. 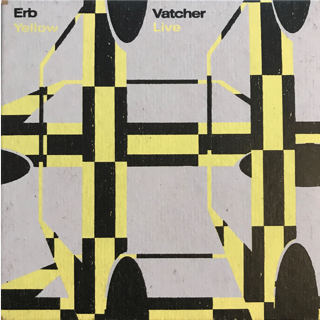 The album was recorded at Gelbes Haus in Erb’s hometown of Lucerne, which explains the title (“gelb“ is German for “yellow“). The titles for the single pieces, “Xanthophyll“, “Carotin“, “Lutein“ and “Zeaxanthin“, refer to pigments that occur widely in nature, which happen to all be different shades of yellow. It’s Erb’s and Vatcher’s first collaboration. Although a typical sax/drums duo, the two do not square off or just bat ideas back and forth, rather the conversation is organic and supportive, and the development of the pieces is quite linear (which is not meant in a negative way). 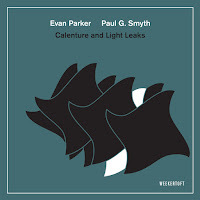 The sax work, especially the beginning of “Carotin“, the first track, is reminiscent of Evan Parker’s reflexive style. 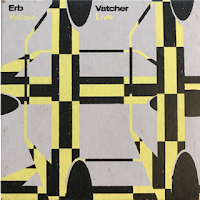 Both musicians tenderly feel their way forward - Vatcher with chimes and then almost imperceptibly with sombre work on the toms the bass drum, Erb with multiphonics, key clapping and finger clicking, little riffs, whistles, overblown phrases, and tremolos. He swings his horn to and fro creating an echo effect. Both make small remarks, they only hint what they’re up to. Only after seven minutes the sax gets more muscular, Erb uses minimal phrases and repeats them. Vatcher’s drumming attaches importance to cohesiveness, momentum, and consistency. He displays an arc of development, it’s very clear where he starts, where he’s going, and how it might end. 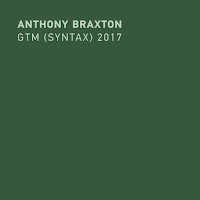 He explores his kit from the darker toms to the snare and the cymbals, using brushes in the transition, and when the piece is getting rougher, he delivers very unsteady, bumpy beats resulting in a monotonous “groove“. Yellow Live convinces with its freshness, varying sounds, and the excellent timing of both the sax and drums. It’s an album in the best Chicago tradition, reminding me of Dave Rempis/Frank Rosaly or Jason Stein/Tim Daisy. Really recommended. …. don’t buy him a parrot … is the result of a large improvised session at Chicago’s Experimental Sound Studio in 2014. 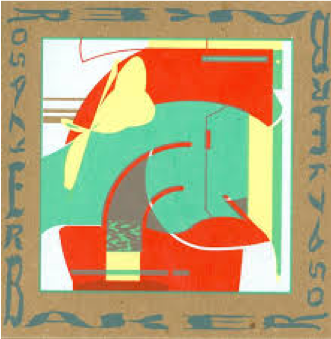 Here Erb (tenor saxophone, bass clarinet), Chicago legend Jim Baker (piano) and Frank Rosaly (drums) present their traditional side, rooted in the free jazz of the 1970s and 80s. The music develops very easily, it’s a rather colorful pattern of small motives and themes instead of a long, exuberant flow. 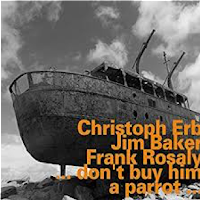 You can hear subtle melodies (“Parrot, Figuring …“), which are torn apart by Rosaly’s drum work and Baker’s crystalline piano figures. There’s a soft abrasiveness to Erb’s saxophone, the beauty of the improvisation is full of edge and abyss. Yes, he can shred sounds, he gnarls, groans etc, but if you listen to a piece like “For Canaries, Career Opportunities In The Mining Industry“, which displays Erb’s marvelous tone on the bass clarinet, you hear the musical lineage that reaches back to Jimmy Giuffre. A true sensation is Jim Baker, who was for many years the house pianist at Fred Anderson’s Velvet Lounge. Here his style merges stride piano, Herbie Nichols, Monk, and Cecil’s arpeggios with his own, almost romantic, idiosyncratic approach. 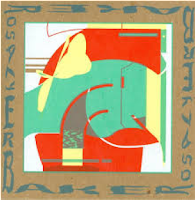 As a free jazz fan you get it all here: agitated kinetic sax energy, rumbling bass clarinet gravitas, dramatic piano gestures in combination with quiet sound exploration, and the finely chiseled fiery sizzling of Frank Rosaly’s drumming.